We’re not just energy experts, we’re safety experts, too. 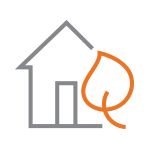 Learn more about staying safe while using natural gas around your home or business. Our technicians have the knowledge and experience to get the job done right. Contact us for help with the installation or repair of popular gas appliances.